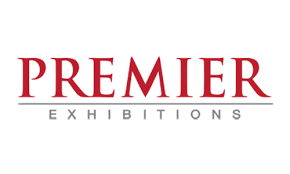 Premier Exhibitions, Inc. (OTCQB: PRXI), is the leading provider of museum-quality exhibitions throughout the world and the recognized leader in developing and displaying unique exhibitions for education and entertainment. Premier Design Services include; content development, exhibit design, brand development, space planning and detailed fabrication drawings. Utilizing the most up-to-date techniques and software, Premier can provide 3 dimensional renderings and animations, digital application development as well as video editing for all your exhibition needs.